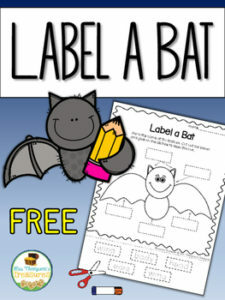 Your students will love labeling the parts of this bat cutie! They will trace the words, cut them out, then glue onto the picture in the correct spot. Great for a unit on bats, fall, or Halloween! *Follow me to be notified of new products, sales, and more freebies! Just click the green star by my store name near the top of the page!